Motivated by good cooperation between the project teams within the Re@WBC project, the Rector of the University of Sarajevo, prof. dr Rifat Škrijelj, visited the University of Niš on 06.07.2018. During this visit, beside the Re@WBC project activities, a discussion was had on the possibility of a broader cooperation of the two universities. With this in mind a contract was signed about cooperation in the areas of science and education. The contract about scientific and educational cooperation, signed by the Rector of the University of Nis, prof. dr Dragan Antić, the Rector of the University of Sarajevo, B&H, prof. dr Rifat Škrijelj, represents the beginning of a partnership between these two universities. 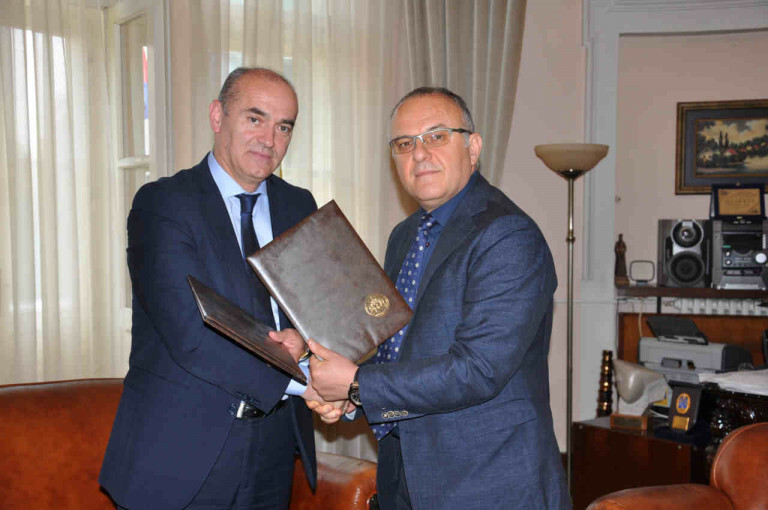 This contract envisages further establishing of academic cooperation, in the period of the next five years, in the areas of education, scientific research and some others of common interest. The cooperation will be realized through mutual exchange of teachers, students and other members of academic staff as well as through sharing information and appropriate literature in the areas of science and education. The partner universities will be able to organize joint postgraduate education in the form of specialist academic, master and doctoral studies and also to jointly appoint appropriate committees for preparation and defence of PhD theses. Present at the signing of the contract were the prorectors of the University of Niš prof. dr Vesna Lopičić and prof. dr Nenad Pavlović, the advisor to the rector prof. dr Zoran Nikolić and the Re@Wbcproject coordinator prof. dr Dragana Cvetković Ilić.